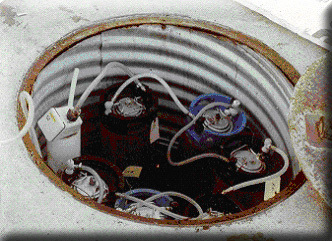 Denitrification-based bioremediation (DBB) is a unique approach to bioremediation that uses nitrates as both electron acceptors and sources of nutrient nitrogen to promote anaerobic biodegradation and oxidation processes in soils, aquifer media and ground water contaminated with gasoline, diesel fuel, home-heating oil and other relatively low molecular weight petroleum products and organic contaminants in soil and ground water. As DBB is an anaerobic process, it works with, not against, the anaerobic and reducing conditions that typify source areas characterized by residual NAPLs and high levels of sorbed-phase contamination. DBB has routinely been used for the effective in-situ treatment of fine-grained media, building foundations and logistically complicated and/or busy industrial sites that are impractical to excavate or treat using other remediation processes. 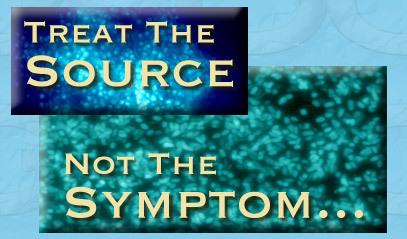 N-Blend is a patented formulation of nitrate-based electron acceptors, nutrients, complex phosphates and other beneficial agents that is designed to promote denitrification-based bioremediation. 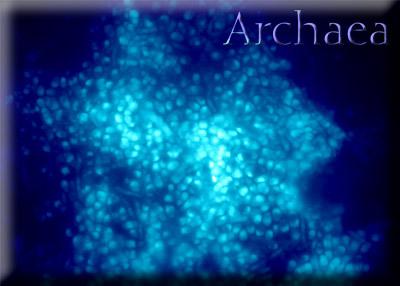 Digital photomicrograph of archael biofilm fragment in ground water downgradient of a DBB treatment zone. Epi-fluorescence light microscopy with DAPI staining. Field of view ± 3,000 um2. 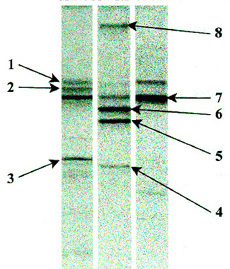 DGGE Gels (above) show 16S rDNA profiles of the bacterial consortia in ground water at three different DBB sites after N-Blend treatment. Each black band corresponds to a different organism. The band profiles and the dominant bacteria (the darkest bands) differ at each site, illustrating that N-Blend stimulates native denitrifying, hydrocarbon degrading bacteria. 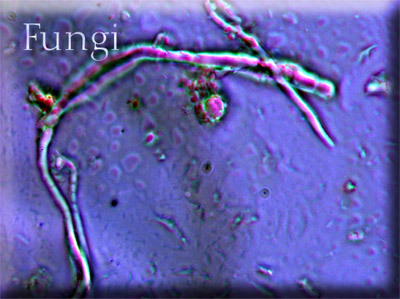 Digital photomicrograph of ascomycete fungus showing asci and ascospore structures in ground-water near DBB treatment zone. Darkfield microscopy. Field of view ± 3,000 um2. Cick on the zoospores to download the brochure! 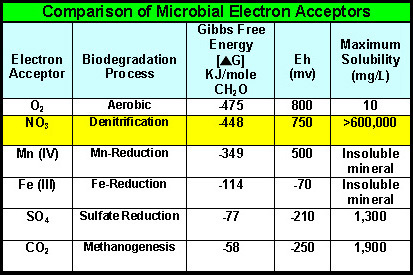 DBB is a practical and feasible alternative to aerobic bioremediation given the high solubility, Gibbs Free Energy yield and the non-reactive geochemistry of N-Blend nitrates and nutrients in environmental media. N-Blend is prepared and applied as a highly concentrated aqueous solution that establishes high concentration gradients that drive the rapid diffusive flux of the active ingredients into the media to promote DBB. The diffusion-driven chemistry of the N-Blend technology is key to its utility as a cost effective tool for the in-situ bioremediation of hydrocarbon source areas, fine-grained, low-permeability aquifer media and contamination present in and below masonry materials and foundations. The effectiveness of N-Blend technology has been demonstrated at more than 250 sites in the US and Europe where it has been shown to rapidly and consistently reduce high levels of petroleum hydrocarbons in source-area media without subsequent rebound in contaminant levels. 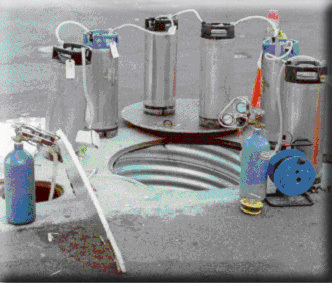 N-Blend is a relatively cost-effective and technically advantageous tool for the in-situ bioremediation of source areas characterized by high sorbed-phase and NAPL contaminants in aquifer media and ground-water, which are generally less amenable to chemical oxidation, air sparging and aerobic bioremediation. DBB N-Blend chemistry is non-exothermic and more highly targeted to beneficial biological processes than is the addition of oxygen, slow-release active-oxygen materials or chemical oxidants. Whereas DBB is an anaerobic process, the high energy yield and efficiency of nitrate-respiration makes DBB a rapid, effective and less costly in-situ bioremediation option for many sites. 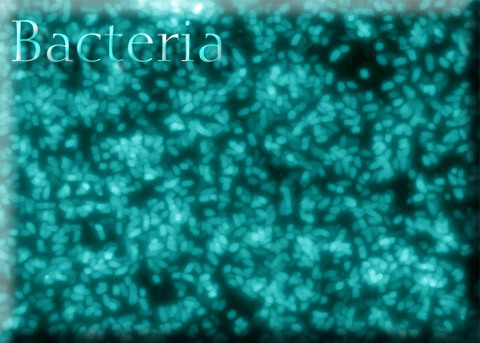 Many different types of hydrocarbon-degrading bacteria, archaea and fungi can use nitrate as an electron acceptor. An emerging application of DBB/N-Blend technology is as a source of anaerobic electron acceptors and nutrients to promote anaerobic oxidation as a complimentary process to reductive dechlorination for chlorinated solvents. This application is a particularly promising means for the removal of less-chlorinated daughter products such as cis-1,2-DCE and vinyl chloride that commonly accumulate as a result of carbon substrate/electron donor addition schemes. Photos (labove and right) show patent-pending inert-gas powered N-Blend delivery systems which provide for the automation of N-Blend addition for ground-water and some soil remediation applications. N-Blend is also an effective nutrient supplement for anaerobic dechlorination programs using organic substrates and products such as SRC, FibreSorb and BioGeoCheMix®. © 2012 Geovation Engineering, P.C . All Rights Reserved.